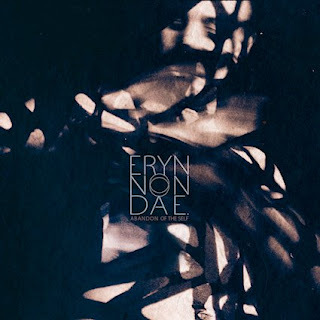 Industrial, brainy, esoteric, and chock to the brim with a unique set of new influences Eryn Non Dae. has always been the sort of band who you can't quite wrap your head around. Since 2001 they have stood proud as key members of the French avant garde metal scene and have fascinated me ever since I was in high school. this latest offering on Demebur Morti Productions though is something special. Abandon Of The Self is dynamic and powerful, hinting at grandiose futures and potent unrealities we can't help but to love. This is a record that has all sorts of unique musical twists and turns, it really sees Eryn Non Dae. letting go of many of their more traditional metal elements, more so than ever before in order to create something that is as shocking as it is intense, which mesmerizes the listener. The reassuring throb of these tracks is couched within a masterful sense of sonic poetry. Abandon Of The Self takes the listener on a journey. A lot of these tracks are exceptionally challenging and demand multiple listens, but once you start to spend the time the truths behind the music become clear. The light guides you in. Eryn Non Dae. have always been driven by a weird sense of destiny. They have been guided forth by an immutable sense that there is a power to, for lack of a better word, alternative music, and that has made them special. The way that the songs come together in potent crescendos, stunning climaxes and multilayered denouments is perfect. Perhaps the bands most progressive record to date and one that sees some of their most experimental moments it's hard not to come back to Abandon Of The Self time and time again.